Tesco are doing 10% off iTunes vouchers. Has to be either £25, £50, £100 or £30 (3 x £10) denominations. Offer ends 5th May 2019. Good for saving money on the Apple Music family plan. Does anyone know if you can get Clubcard points on this? Thanks for posting! Shame the old 20% offers are well and truly dead. I realised that 5 card limit is a visa restriction. The other restriction jaydee is referring to is the 2 grand total spending limit for 12 months. BTW for anyone looking to try the visa trick it is now £6.95 for a £100 card. So £106.95 - 10.69 equates to £3.74 profit per card. 5 at a time £18.70 each transaction. I've bought a £50 to test whether the money is credited. Will see over the next few days. OP, has your 10% been credited yet? 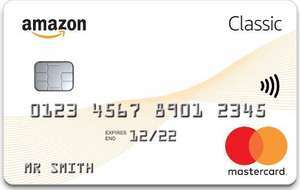 It worked fine for me last time buying Amazon and John Lewis gift cards. 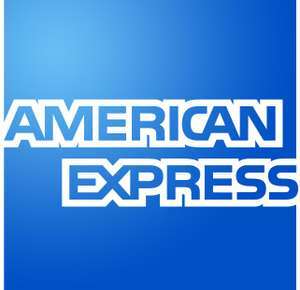 Bizarrely this has appeared in my wife's Amex offers but not on mine. Possibly because I have already shipped at Morrisons in the past week or two? Nobody is saying you don’t know what you’re talking about. But the other deal you posted is a little irresponsible as it doesn’t mention the potential risk. Someone that doesn’t know better could follow your deal, get £20 off but end up paying considerably more when they apply for a loan/mortgage later this year. Maybe update your post with a line just to highlight this? It's an account specific offer, doesn't work for me. You're basically getting Tesco Value broadband here, just branded as John Lewis and you're paying a premium for that name. If you just need basic ADSL broadband, nearly all providers will give you exactly the same service and speeds for a better value price. Most these companies will also give you a decent cashback amount via TCB or Quidco, which beats the £40 JL voucher. 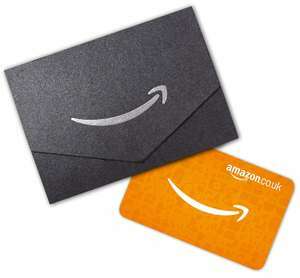 If you don't want to go via a cashback site, many broadband price comparison sites offer gift vouchers for £50-75. I've got this. Initial set up took weeks as they kept messing up. Call backs never happened. Staff would promise to call the next day with an update when they were actually on annual leave that day. Even 'managers' wouldnt call back as promised. Connection dates continually missed. Now speed is terrible despite green cabinet being right outside my house. Can't wait to ditch them. Dammit, missed it. Wanted to see Niles Rodger and Chic but F me - £68! Any other ways of reducing ticket prices? No. It is for Voxi customers. Voxi is owned by Vodafone and uses Vodafone signal though. Very nice, how much was on the Costa card? Not sure it's just them. It feels like a UK trend. (shock) explains why TFL are struggling with their finances! And I didn’t say it wasn’t. I was just pointing out we shouldn’t complain about what they give out if they give out something. Never miss a 'Gift Card' deal again! Referral bonus. Nice little earner for providing a link eh? Maybe we should have a referral bonus auction to see who will be less greedy? I think that the person who will be paying the bills should have the lions share. Very good to use. Cheapest on the market for me, great customer service and consistently being endorsed by Martin Lewis. See PM. Hold your horses, you can get 50 quid by switching to bulb. Possibly, I only shop at JL sporadically so not sure if the offer came about because of inactivity for a few months? I’m guessing it may be account specific? 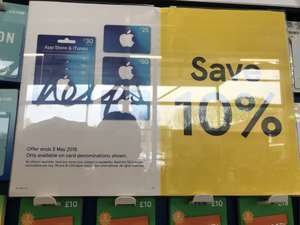 Asda are currently selling AppStore and iTunes gift cards with 10% discount. Available at selected stores. Promotion valid for £25, £30 multipack £50 gift cards only. Thanks! These are few and far between these days. Thanks op been looking for new look. People still write stupid judgemental comments? People still rub their hands together? Does the discount for armed forces work in conjunction with this? Voted hot. I love H&amp;M colourful clothes not just selling black and grey or other dull colours. Hi-same thing has happened to me! I don’t want the £5 credit!! What’s happened?!?! Groupon have said they can’t send the £5 voucher but issued a £5 credit instead! This isn’t right, what can I do? Not for me this time, but had 2 in last 4--5 months so happy with that! Heat! XBOX Live $50 USD Gift Card - Digital Key [US] Not such a bargain after all.